There might be multiple instances of QRemoteServer.exe running. In case you want to change this, you may use msconfig, remove QRemoteServer from Startup. 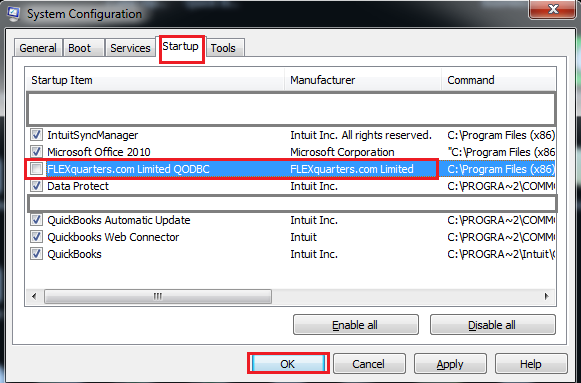 Start >> Run >> msconfig >> navigate to Startup tab & disable FLEXquarters.com Limited QODBC. Please click on OK to apply settings. 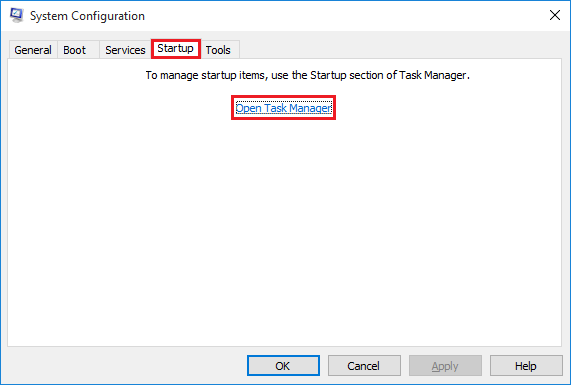 In Windows 10 OS, Startup program will be disabled from task manager. 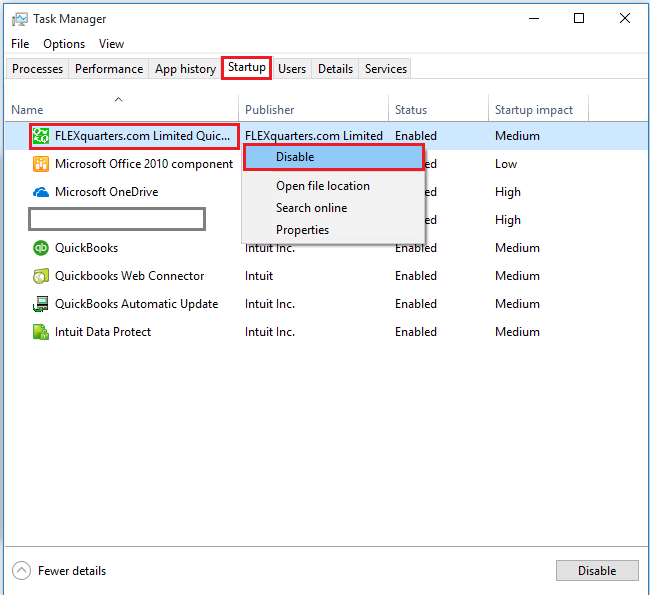 Start >> Run >> msconfig >> navigate to Startup tab & click "Open Task Manager"
Task manager is opened, navigate to "Startup" tab & Right-click on "FLEXquarters.com Limited QuickBooks ODBC Driver" & click "Disable". 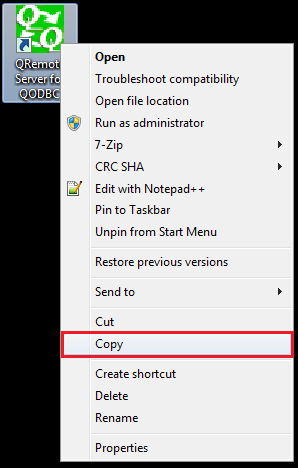 If you want to re-enable QRemoteServer on System Startup, then please enable "FLEXquarters.com Limited QODBC" from the above System Configuration. 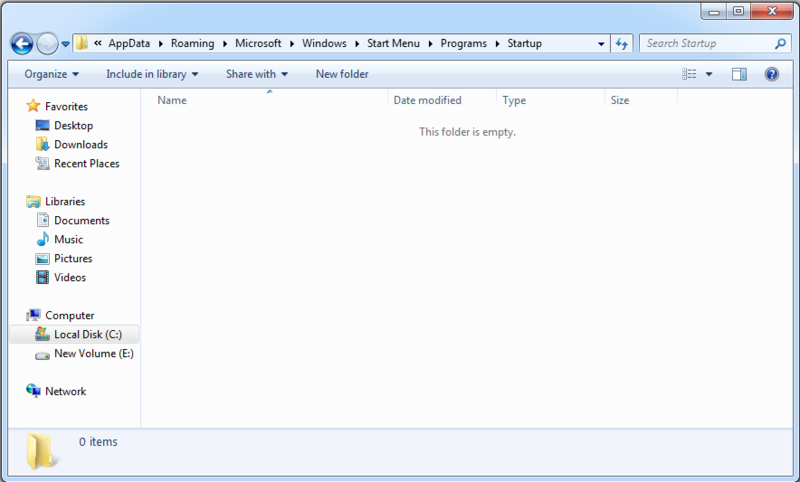 You can remove QRemote startup entry through registry also. Open Registry Editor & navigate to below path where startup entry is stored. 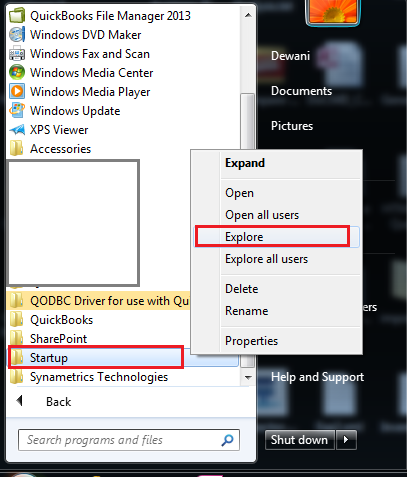 To remove QRemote startup entry, Please right-click on QRemoteServer key & click "Delete". It will ask for confirmation, Please click "Yes" to remove QRemoteServer from startup. QRemoteServer is removed from startup. You can add the QRemoteServer in current user startup via the registry. 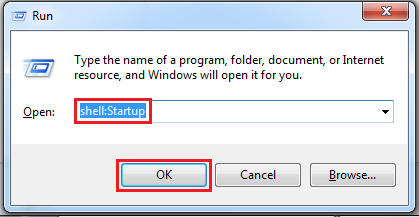 Navigate to below path & right-click on the right pane of Registry Editor & click "New" & select "String Value" to add QRemoteServer in current user startup. Please insert "QRemoteServer" as name of String Value. 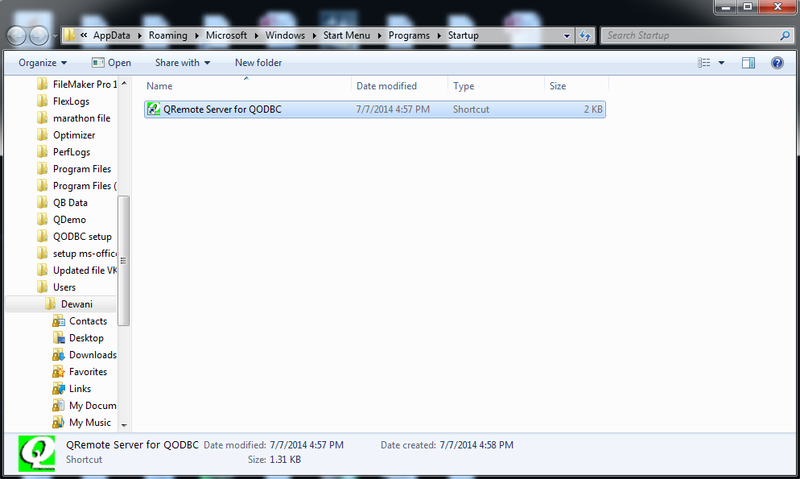 In value textbox, Insert path of QRemoteServer executable file & click "OK". The QRemoteServer is added in current user startup. If you can't find "FLEXquarters.com Limited QODBC" in the Startup program list, then please reinstall QODBC. After installation QODBC "FLEXquarters.com Limited QODBC" will be listed in the Startup program list. Is terminating QRemote Server.EXE from the task manager the official way to stop it? Or is there some other way? Thanks! 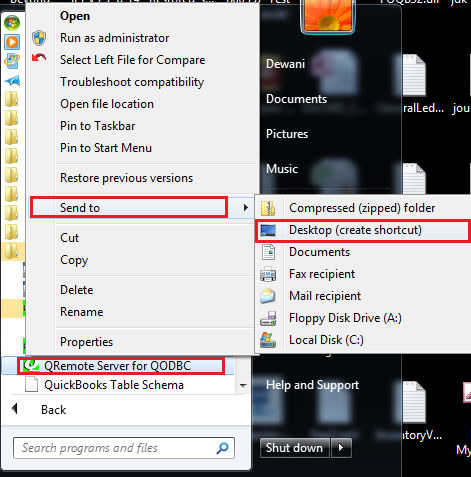 You can close QRemote Server from QRemote Server File menu & click on Exit.